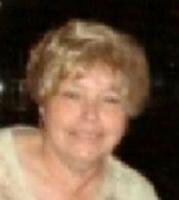 WATERLOO - Eileen Blake, 62, of Waterloo, died Saturday, Nov. 13, at home. She was born Sept. 11, 1948, in Waterloo, daughter of Fred and Laura Schmidt VanderKolk. She married Beryl "Buz" Blake on May 12, 1973, in Cedar Falls. Mrs. Blake was self-employed as a cosmetologist for 38 years, retiring in 2008. Survived by: her husband; a son, Rod V. (Colby Fairchild) of Henderson, Nev.; a daughter, Tara Shatley of St. Charles, Mo. ; five grandchildren, Jackson, Allie, Taylor, Casey and Suri; a brother, Glen (Sharon) VanderKolk of Waverly; and a sister, Janice VanderKolk of Waterloo. Family-directed memorial services: 11 a.m. Tuesday at Central Christian Church, Waterloo. The family will receive friends following the service at the church. Richardson Funeral Home, Cedar Falls, is assisting the family. Memorial fund: to be established and designated at a later date.